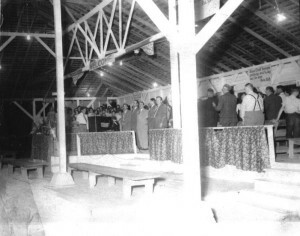 From an open-air revival in the summer of 1920 until today, the North Main Church of God has been a vibrant fellowship of fully devoted followers of Jesus impacted by the power and presence of the Holy Spirit. 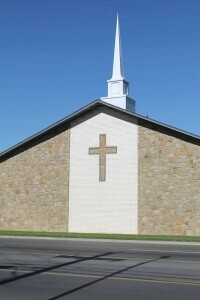 Various buildings have housed the congregation over the decades, but the vision to reach Weatherford, Texas, our state, nation and world with the Gospel of Jesus Christ has remained the same. Times and technologies may have changed the external surroundings, but it’s the very same revival fire that inspires us today. Under the current leadership of Pastor Forrest Bass, we are committed to following the uncompromising heritage of faith as we move forward to reach our community with the Living Hope of Jesus Christ. At North Main Church of God, every service you will hear anointed preaching that declares the truth of God’s Word. Talented musicians lead the congregation in praise and worship that includes contemporary and traditional songs and hymns of Faith. If you do not have a church home, we invite you to worship with our church family. Join us and be a part of what God is doing! Monday Prayer Meeting – 6:30 p.m.